2 previous owners and only 43,000 miles from new. 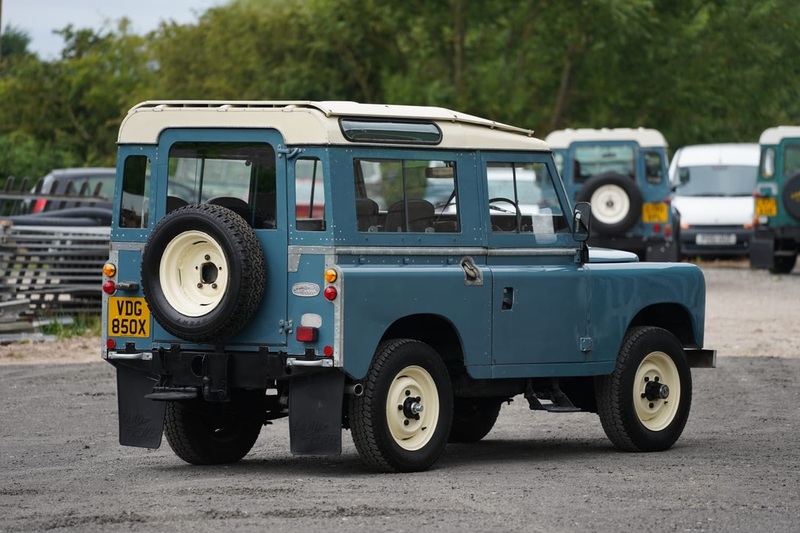 The body and paint finish is 100% original, and way above the average 36 year old Series III Land Rover. 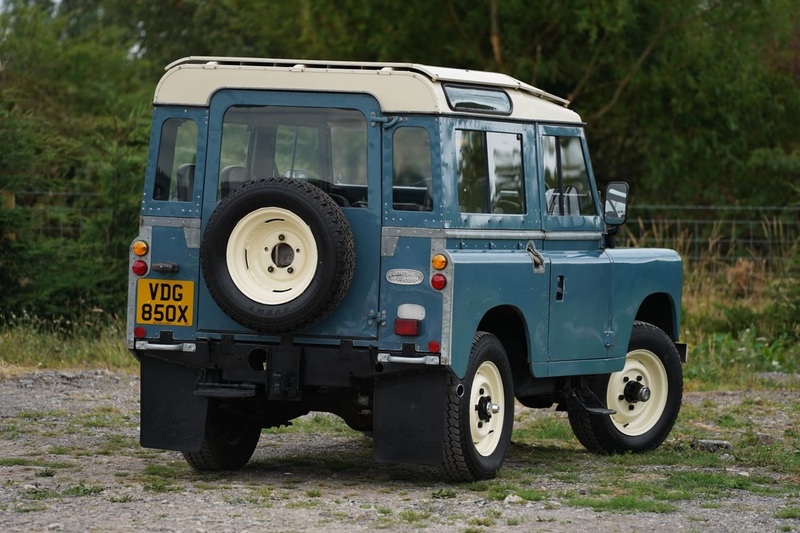 However, VDG 850X is not your average Series III Land Rover, it is extraordinary. 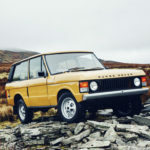 Full documented service history and mot history from new. Unique in such original condition and we think this is one of the lowest mileage best un-restored 1982 examples available. 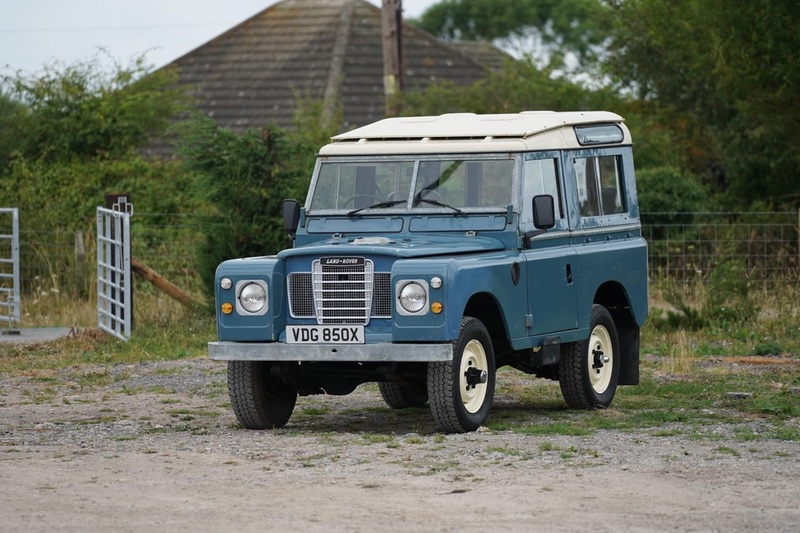 This vehicle was first supplied 19th January 1982 by Lex Mead, Cheltenham to Rifina Co Ltd. Who kept the vehicle for 19 years, the original service book and paperwork is in the file showing that the vehicle was regularly serviced at the main dealer. 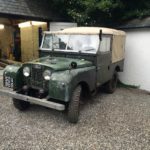 It then changed hands in 2001 to Mr. Bartlam who kept vehicle for a further 7 years the previous keeper has had the vehicle for the last 10 years. 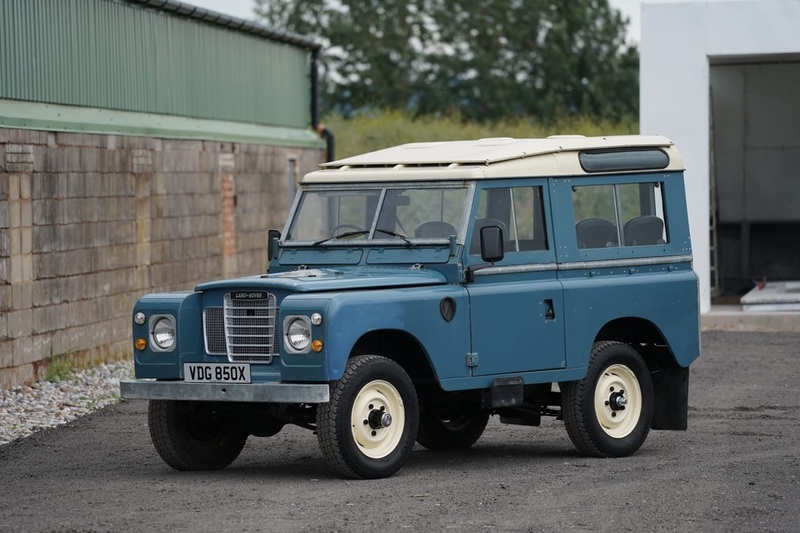 The history file is excellent and warrants the mileage from new, lots of mot's, invoices, service history, tax discs, AA pack, supercover documents, supplying dealer paperwork. 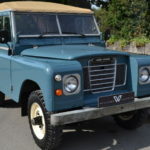 This is buy far one of the best history files we have seen with any land rover. 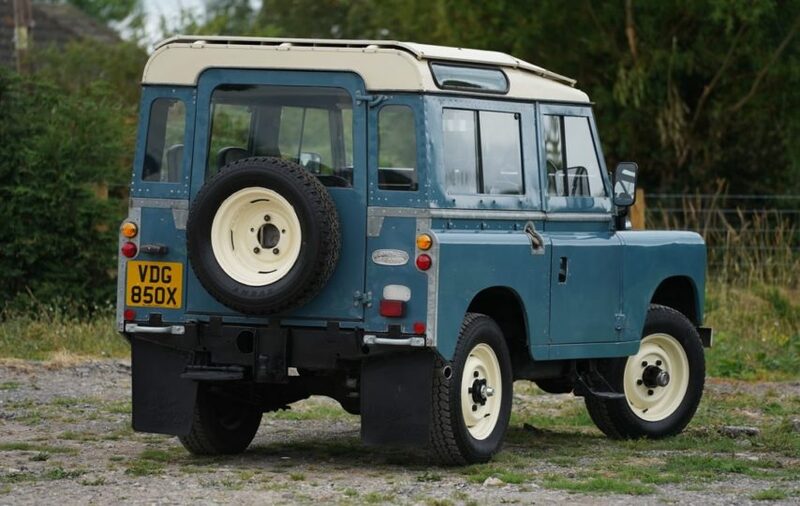 This is a late Series 3 factory Station Wagon, with the safari roof, individual drop down rear seats and all the other station deluxe station wagon features. 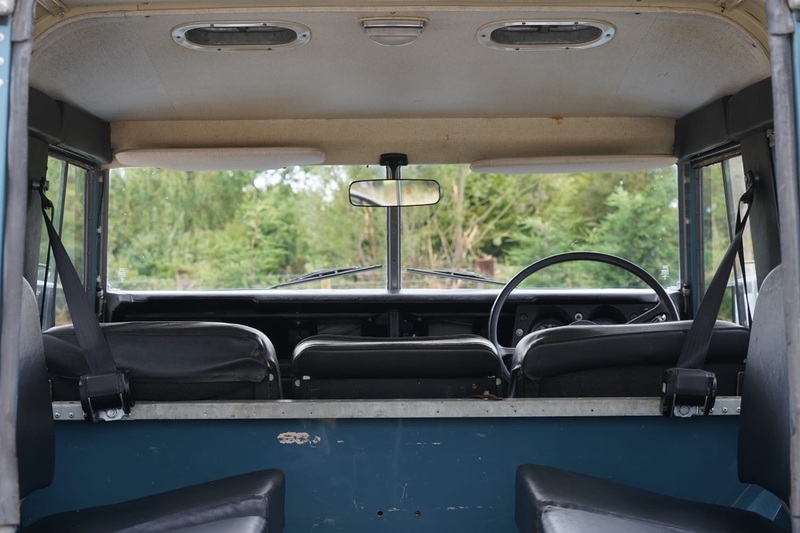 The interior has all it's original seats front and rear and they are in very good condition. 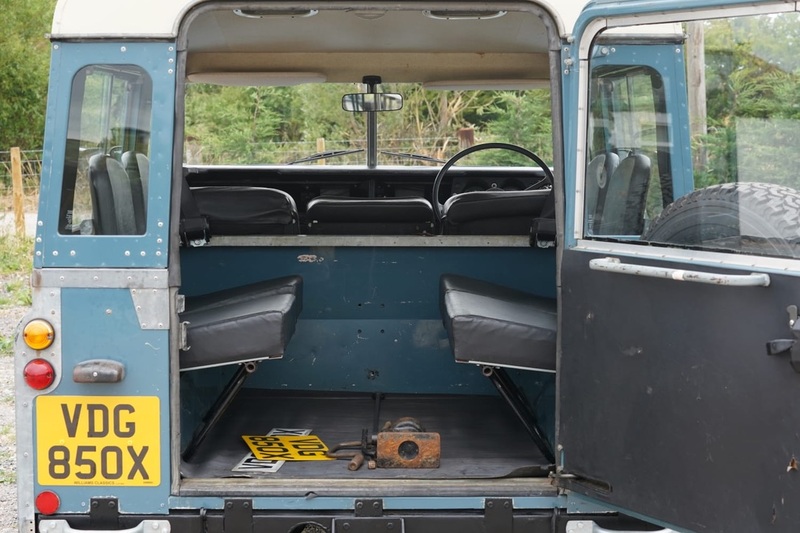 The load area is clean however it does have scratches due to the type of use the vehicle has had there is no holes or corrosion under the mat. 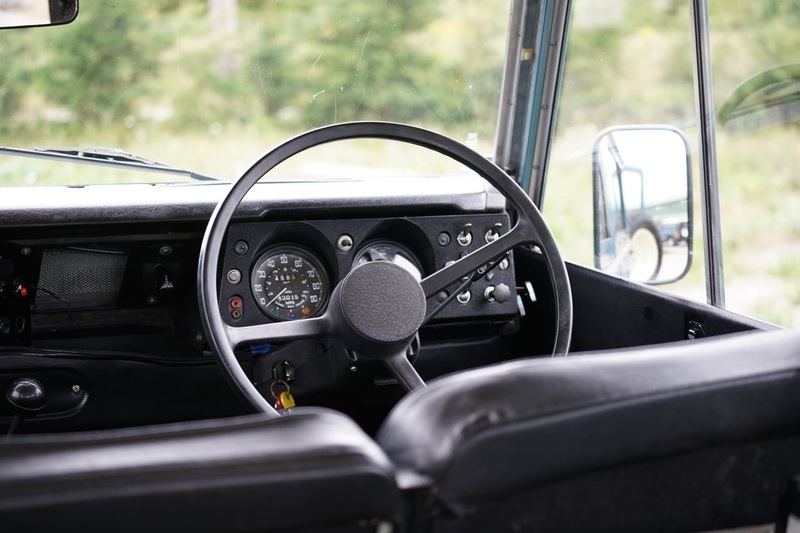 The dash is unmarked with no cracks or sun damage there are no additional holes anywhere. 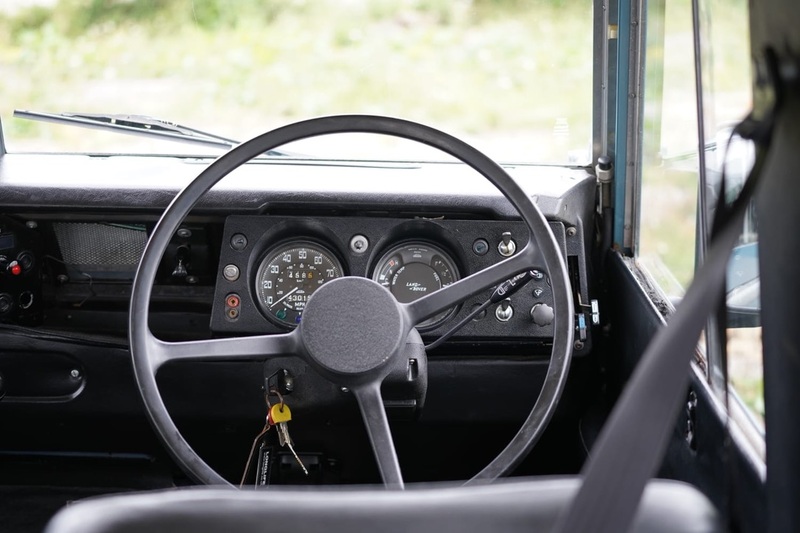 The original jack, handle, wheel brace are all still in place. 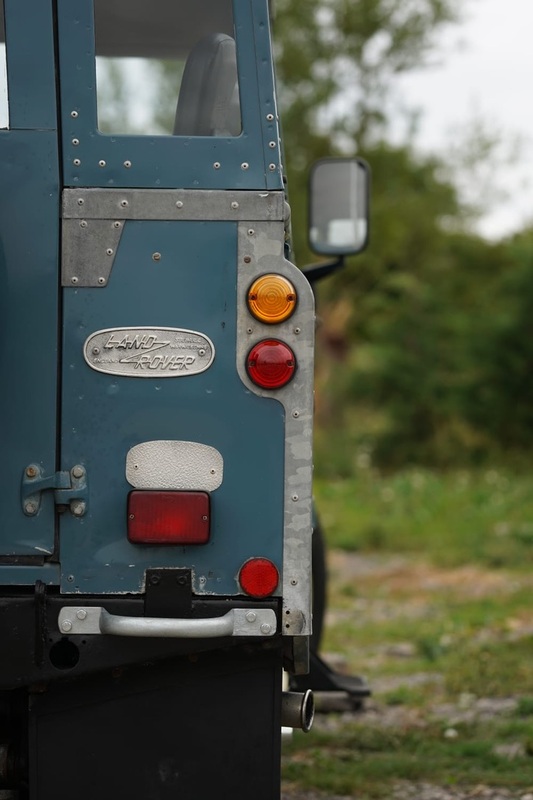 The rivets on the rear panels were never finished in body colour when they left the factory this is how it remains on this vehicle. 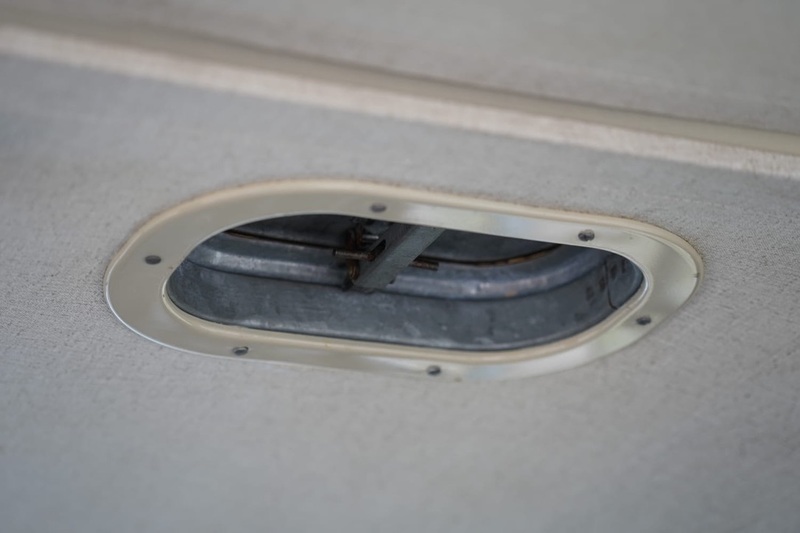 The bulkhead is exceptionally solid and original, in fact as good as we have ever seen including both original footwells. The underside has been steam cleaned and then waxoyled to preserve the original chassis. You can still see the factory overspray under the wings and rear body this is exactly how they left the factory. No welding is required anywhere on this vehicle and it is now ready to go. 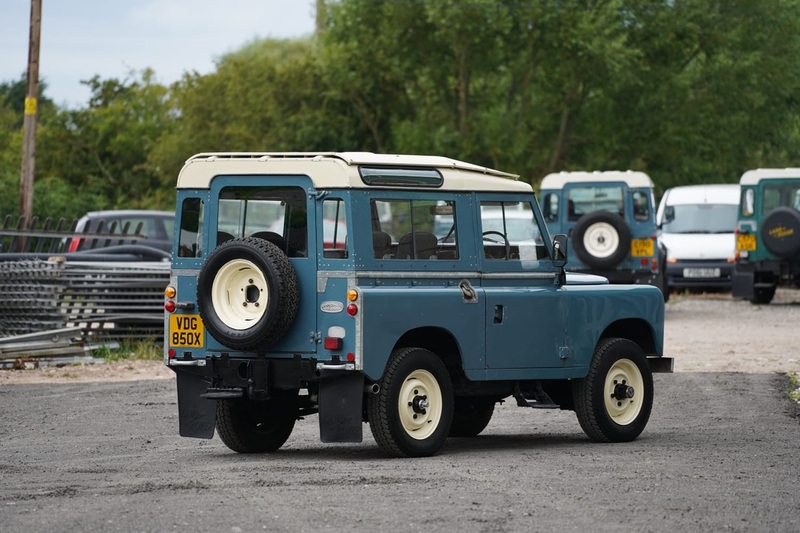 The previous owner enjoyed the car so much that he decided to incorporate a 200 Tdi engine into the vehicle which makes modern day use much more bearable particularly in traffic and on motorways. An electric fan is fitted to help with the cooling in traffic. 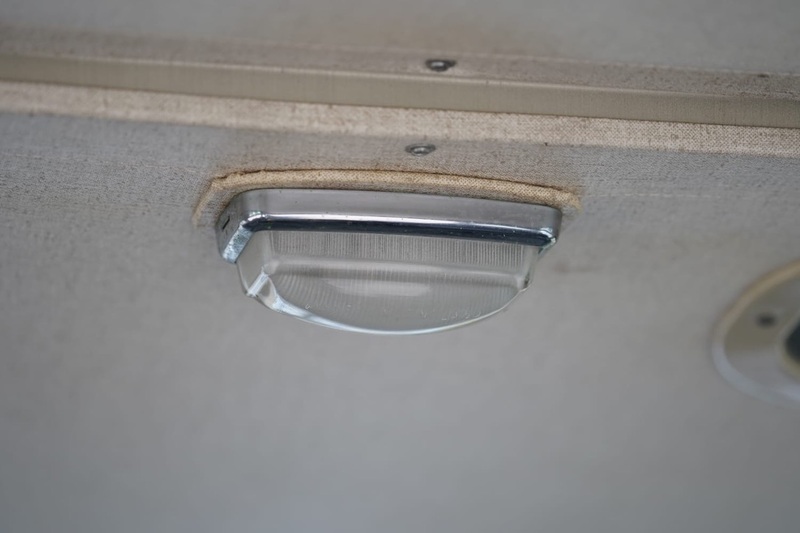 The upgrades are all very substantial and have been incorporated into the vehicle very well. 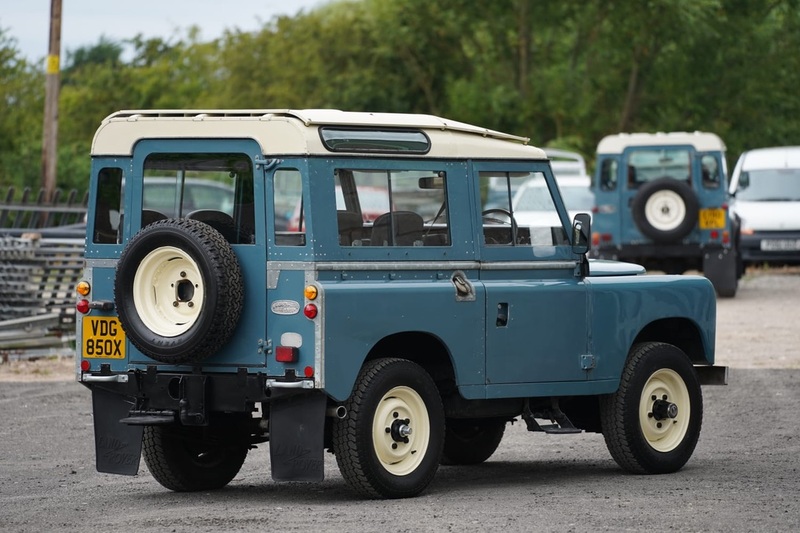 The overall appearance of the vehicle looks like a standard Series 3 until you see it overtaking you in the fast lane at 70+ mph, it also has free wheeling hubs and a fairly overdrive which are both very beneficial upgrades. 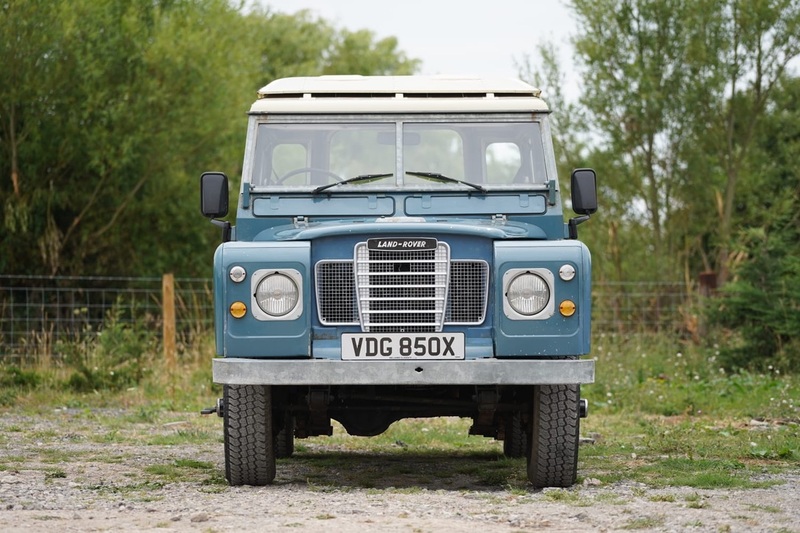 A joy to drive and such fun, the vehicle will be supplied with a full 12-month MOT with no advisories. Four wheel drive and low range engage, as they should. The gears change up and down as they should it has a very quiet gearbox which is a good sign of its light use and good maintenance over the years. 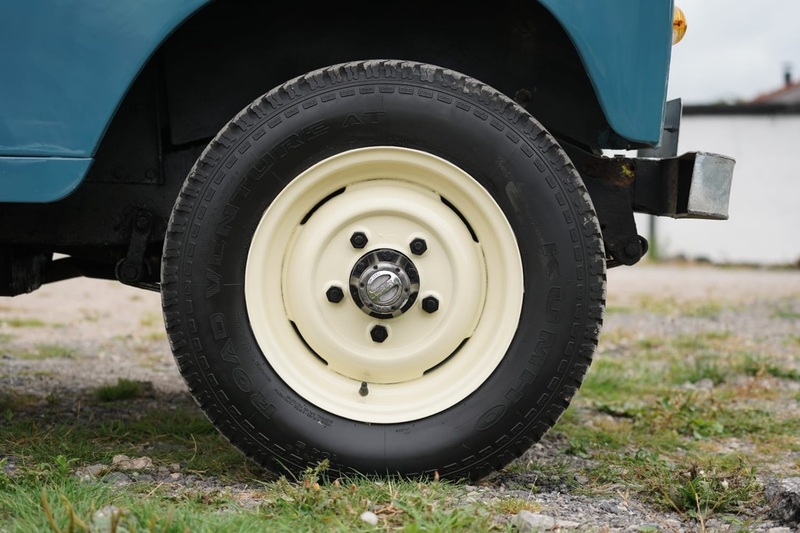 The Fairey Overdrive is fully functional and engages and disengages as it should as do the freewheeling hubs. Please study the engine bay pictures this is one of the best 200 Tdi engine conversion you will find in a Series 3. 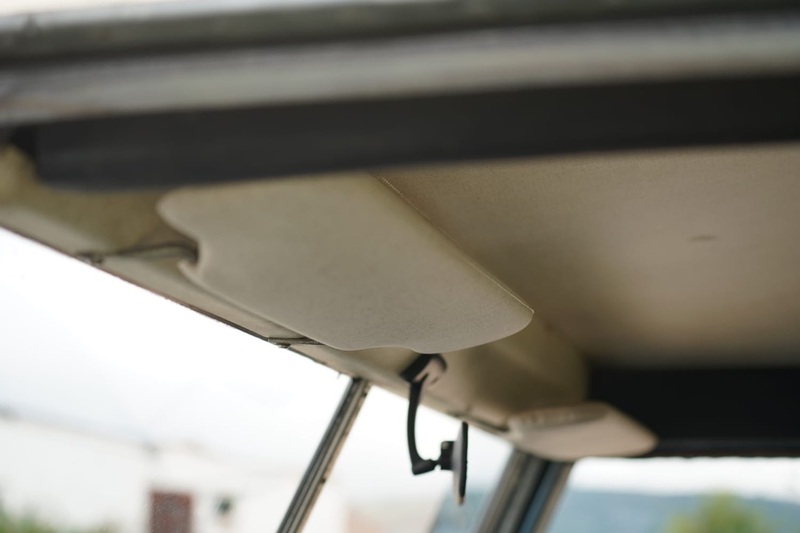 The way he has incorporated the upgrades make the vehicle more drivable whilst retaining the original look of the vehicle until you open the bonnet. 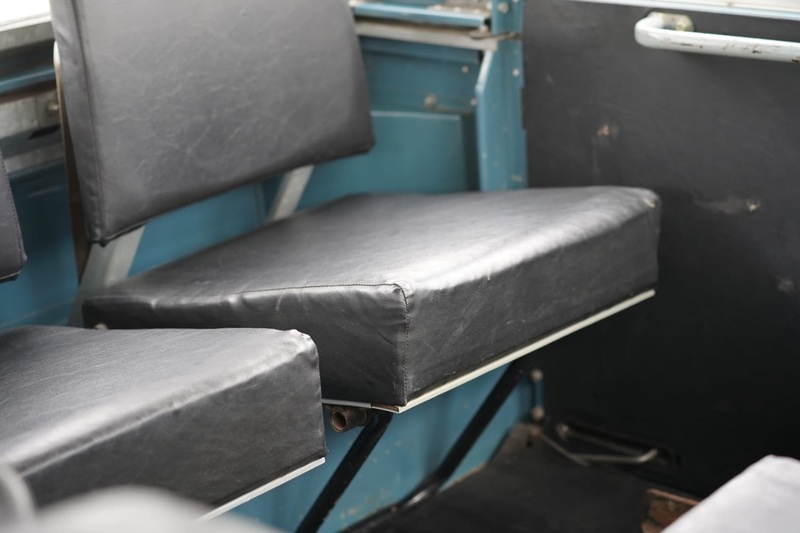 No expense has been spared in the maintenance of this vehicle over the years. 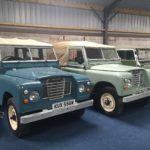 The vehicle retains a majority of it's original paint work which is the classic Marine Blue with a Limestone roof and wheels. There is a nice patina to the bodywork, it is not tatty in any way and really does show the age and history of the vehicle. A test drive is highly recommended. This vehicle should give many years of happiness to its new owner. 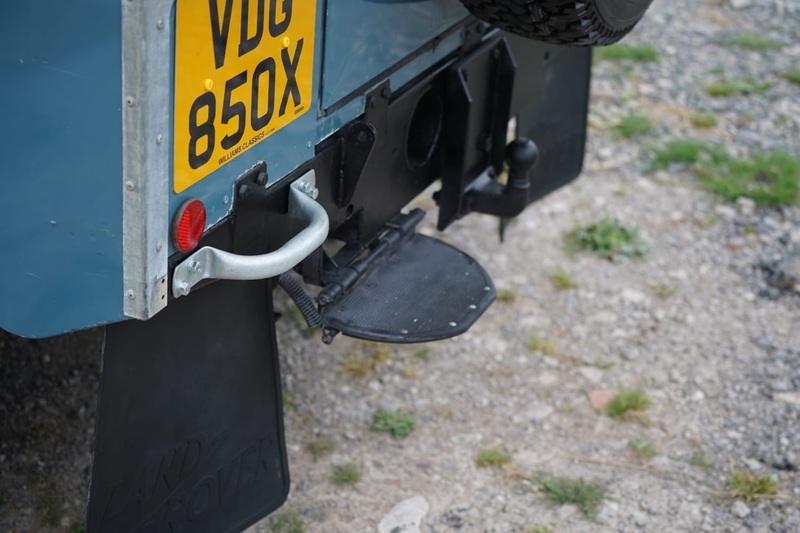 It would look fantastic on the beach towing your boat with the door tops off and vents open. 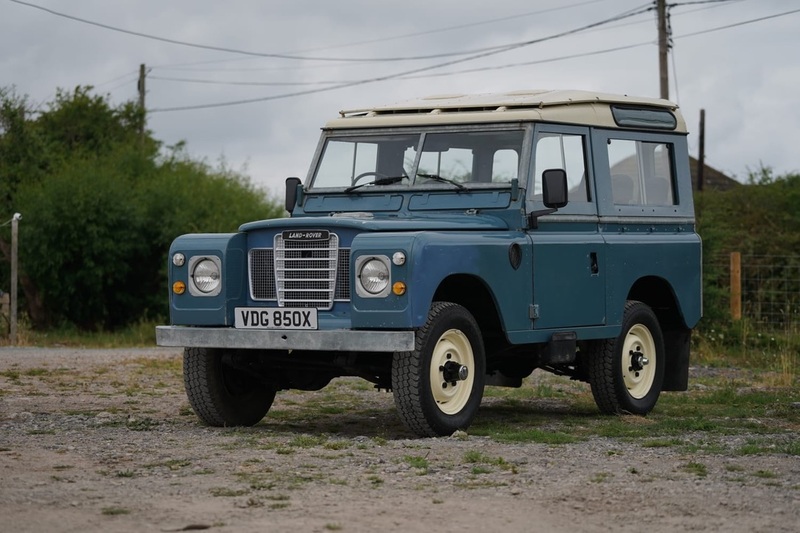 This is one of the best examples presently on the market that isn't over £20,000. What you see is what you get. 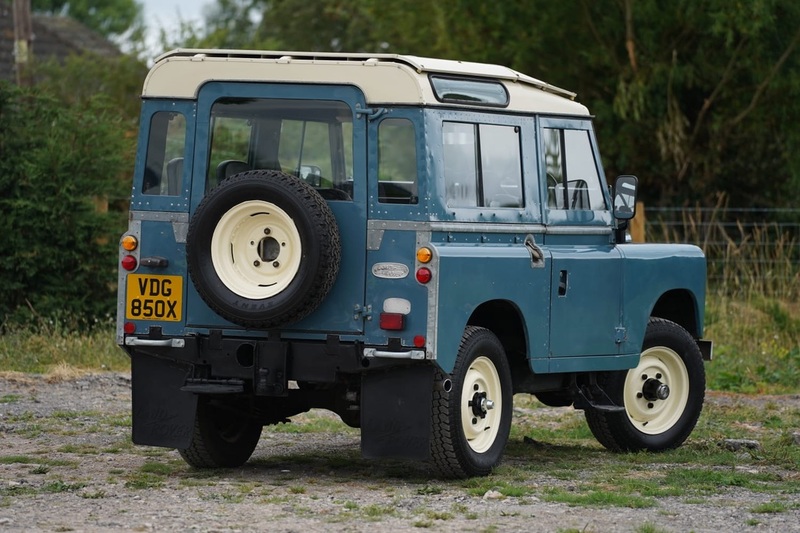 VDG 850X retains much of its original paint finish - albeit with a few aged dings, scratches and marks. Please therefore do not expect absolutely pristine. However, you will have to go a long way to find a better vehicle. 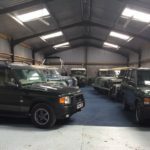 Any trail or inspection welcome, Credit and debit cards accepted, Delivery can also be arranged, P/X welcome, Any enquires please call 01745 798681 or 078255 87155.